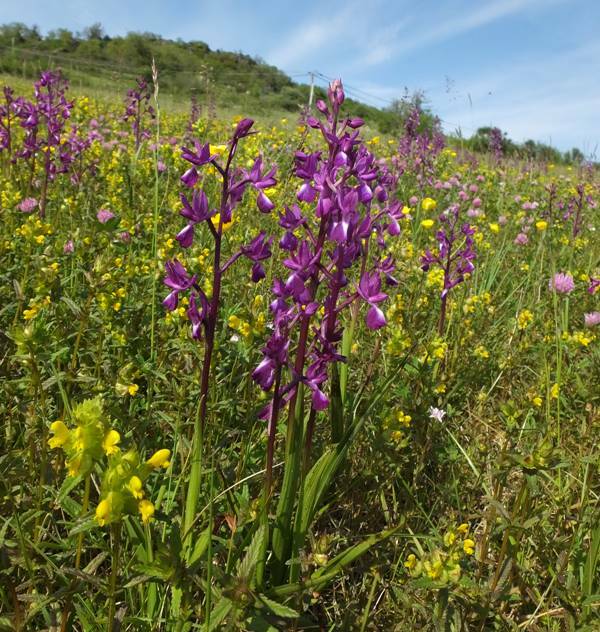 Also known to some as the Jersey Orchid or as the Loose-flowered Orchid, this is another species that has moved genus from Orchis to Anacamptis as a result of the use of molecular studies to determine plant relationships. 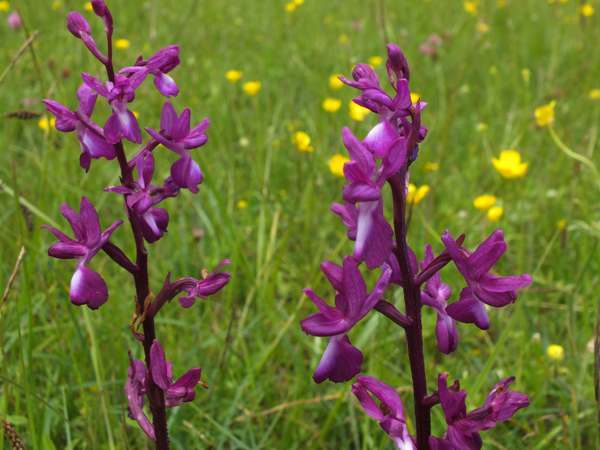 Until recently it was generally referred to as Orchis laxiflora. 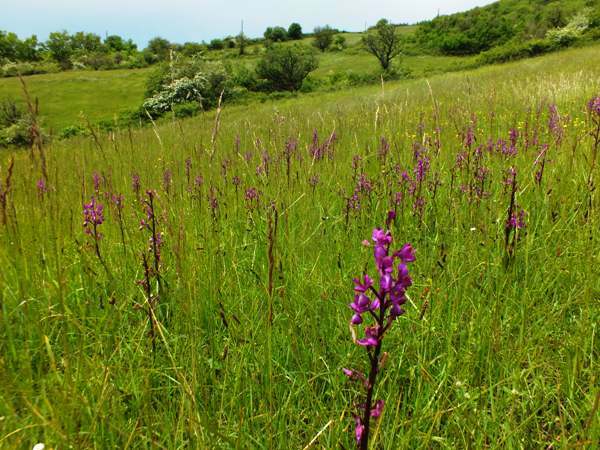 This slender but tall orchid grows up to 60cm tall. There are 3-8 narrow, pointed leaves arranged along the stem which is flushed deep purple. The inflorescence is lax and carries between 9-22 large dark pink flowers. The erect lateral sepals are bent backwards and are often so close that they touch each other. A hood is formed by the dorsal sepal and the two upper petals. The flower lip is sharply folded length-wise and has a pale (almost white) centre which is usually unmarked or occasionally lightly marked with pink. The range of this species extends from the Algarve region of Portugal (where it is very rare) as far north as Sweden and east to the westerly parts of Asia. 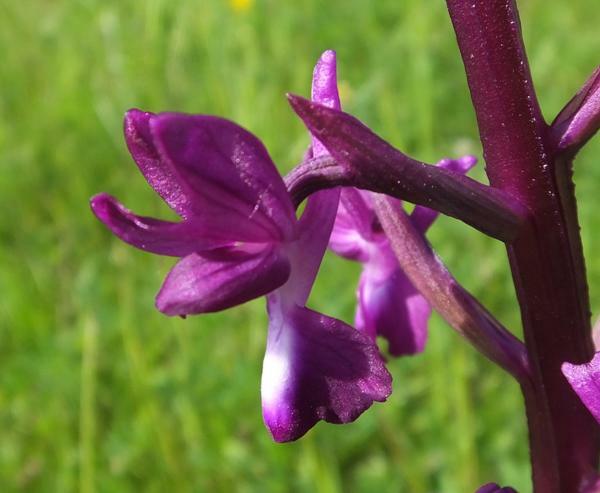 It is not recorded in mainland Britain but is found in the Channel Islands where it is referred to as the Jersey Orchid. 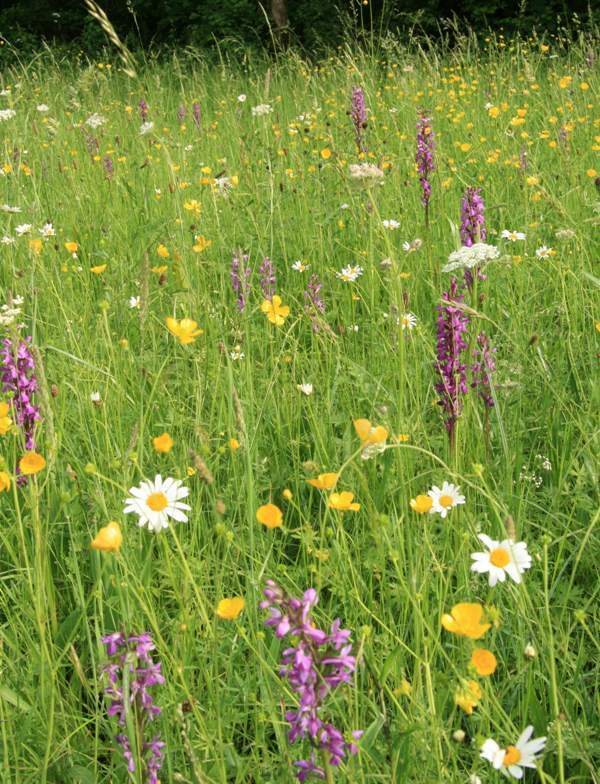 This orchid prefers damp alkaline habitats and can be found in fens, marshy meadows and beside streams. The specimens shown on this page were photographed in Crete and in the Lot Valley, France, in late May.